Can a design determine the fiber amount in concrete in real time in every part of a structure in production? In near future, when the control of the load-bearing capacity of fiber-only-reinforced concrete members will be safely guaranteed, the deletion of the ordinary continuous steel reinforcing bars might be possible. For the time being, it is difficult to change the fiber amount during the casting with today’s techniques. Therefore, the fiber concentration has to be determined by the maximum tensile stress in concrete structural members, resulting in an unnecessary fiber addition in compressed zones. However, if the right amount of fibers could be regulated and added to concrete in real time at the pump outlet, a future vision could be to design and produce a structure by using FEM-controlled equipment. The signals from calculation results could be transmitted to a concrete casting system for addition of a necessary amount of fibers to take care of the actual tensile stresses in the right position in the structure. The casting location could be determined by using a GPS for positioning the pump outlet for targeting the casting location horizontally and a laser vertically. The addition of fibers to concrete at the outlet of a concrete pump and proportioning them there according to the actual needs of the stress situation in a structure, given by a FEM analysis in real time, is a future challenge. The FEM analysis has to be based on material properties of fiber-only-reinforced concrete. 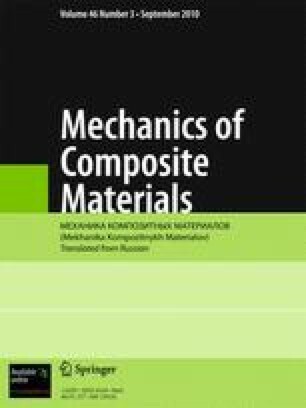 This means that the resistance and stiffness of different-strength concrete members with a varying fiber content has to be determined in tests and conveyed to the FEM analysis. The FEM analysis has to be completed before the casting and controlled. Then it can be used as the base for adding a correct amount of fibers to concrete in every part of the structure. Thus, a system for introducing a correct amount of fibers into concrete has to be developed. The fibers have to be added at the outlet of concrete pump. Maybe a system to shotcrete concrete with electronically controlled fiber addition is to be preferred? The target point where the concrete comes to rest into a structure has to be electronically noted and sent to the FEM system. The FEM analysis should then immediately send back the information for the correct amount of fibers at that point. This requires the elaboration of an appropriate signal system, which should not be impossible. An integrated system for the design and production of concrete structures could be developed excluding the heavy and time-consuming work with steel reinforcing bars. no heavy work with the reinforcement. Finally, investigations have to be performed concerning the demolition of fiber-reinforced concrete structures and the reuse of the material. The fragments of fiber-reinforced concrete might be sticky and cause problems for nature. The recirculation of material has also to be solved. Russian translation published in Mekhanika Kompozitnykh Materialov, Vol. 46, No. 3, pp. 467-478, May-June, 2010.